The pointer has been from The Trading Digest. Wow, good timing, Mr. Brabeck-Letmathe?! Or are there any other executive members of the board of directors? The all time high of Nestle was CHF 550.50 at 2007-11-15 and this sale was less than 1 permille below it. Anyway, today's price is still only -4.82 % below that sale price. Here is a summary/comment about the paper: Bubbles: Ride, Watch or Play the Pop? Here is a background article by Art Detman for the FTSE Global Markets Magazin about Countrywide Financial. Gannon to Barron’s: Berkshire Fairly Valued…As a Buffettless Empire! However, the age angle is overdone in most media reports. People look at Buffett (like Bill O’Reilly recently did) and say “this guy’s old; he’s going to be dead soon”. There are a few problems with this logic when applied to Buffett’s future services to Berkshire. One, CEOs don’t usually die in office. Even great CEOs retire long before they reach 77 – and 86 is never even contemplated. Buffett will work for as long as he’s able. Taking Barron’s actuarial life expectancy of nine years, it’s obvious that Buffett is still expected to last longer at Berkshire than the average public company CEO appointed today. CEOs don’t make it much more than five years on average; so, Buffett’s expected future service time is actually above-average not below average. We've owned UBS. Some of them are black boxes. Some of them are too hard to figure. If they have enormous positions in mortgage-backed, or CDOs, or even in some forms of derivatives, they may be fine but I can't know that. I like 'em fairly simple and somebody's characterized what's going on now as a flight to simplicity. And there's a good reason for that. You should only buy what you understand. And I can only understand simple things, so, ergo, I look at simple businesses. UBS, which is hiking its Tier 1 capital to 12 percent in a 19.4 billion Swiss frmanc injection has ordered a halt to proprietary trading -- which involves investment banks committing their own money to investments and trading positions. Sounds really great for investors:). Hear Ospel ("we took 10 billion of risk out of the balance") and Zuberbühler ("there have been no death casualties") at this DRS interview. Q: Are you more naturally bearish or bullish? Paul Tudor Jones: Bearish, I think. I would have difficulty asking anyone to pay 10 or 20 times earnings for my earnings capability for the rest of my life. I would think you're crazy to do that even though it might be a great deal, so the concept of paying one-hundred-and-something times earnings for any company for me is just anathema. Having said that, at the end of the day, your job is to buy what goes up and to sell what goes down so really who gives a damn about PE's? If it's going up you're supposed to be long it. But there's no question that it's just easier for me to leverage with some degree of conviction the short side of some markets. Q: Let's play a word association game. I'll say a word and you say whatever comes to mind. Paul Tudor Jones: Made well over half the money that I've made in my lifetime. Paul Tudor Jones: Made the rest. Q: Are you better at one or the other? Paul Tudor Jones: Probably technical analysis. Paul Tudor Jones: No such thing. Paul Tudor Jones: It was like watching a natural disaster from the sidelines. I was intimately involved in that day, but the macro implications of what was happening overwhelmed any personal considerations that I had. Paul Tudor Jones: His aversion to paying taxes made him a great investor. A good summary of hiw rules can be found at Wikipedia. It would be an interesting (but maybe time consuming:) exercise to go back and read the old annual reports and see if you also detect something fishy. Buffett said he was troubled in part by a Freddie Mac investment that had nothing to do with its business. "I follow the old dictum: There's never just one cockroach in the kitchen," Buffett said. Buffett said he bought stock in Freddie Mac in the 1980s because "it looked ridiculously cheap." He said his company became one of Freddie Mac's largest shareholders before it began liquidating its stake in the late 1990s at an eventual profit of about $2.75 billion. Buffett said he met with Brendsel and former Freddie Mac president David W. Glenn five or six times over the years at Brendsel's request, initially at a summer house Buffett had in Laguna Beach, Calif. Brendsel requested and followed some of his recommendations on whom Freddie Mac should appoint to its board, Buffett said. Buffet said he became troubled when Freddie Mac made an investment unrelated to its mission. He wasn't clear on the specifics but said he "didn't think that made any sense at all" and "was concerned about what they might be doing . . . that I didn't know about." Buffett said he reviewed Freddie Mac's annual reports every year he held stock in the company. Buffett said he thought he expressed his concern to Brendsel in several conversations but added that he didn't keep notes or a diary and couldn't recall details. Asked by the judge, William B. Moran, whether he felt his concerns were vindicated, Buffett said, "I think they were fully vindicated." While UBS have the second highest ABS CDO exposure, they have taken one of the lowest writedowns. Clearly, UBS are not marking their assets at current market prices, and are still heavily relying on marked to model prices. Consider also the fact that many of the CDOs UBS arranged and sponsored have been some of the worst hit - like the appropriately named Vertical Capital, a CDO whose AAA debt was slashed 14 notches to junk in one fell swoop. The third scenario is a worst-case scenario. Under this scenario (50% writedowns on HG ABS CDOs and 100% on mezz ABS CDOs), UBS would end up with a substantial SFr22bn writedown. The group’s Tier 1 ratio would drop to 5.8% (Basel II). Even after cutting the dividend and accounting for a lower group Tier 1 ratio of 9% (Basel II), a capital shortfall of SFr 8.5bn would remain, raising the prospects of a large capital increase/rights issue. After all, Citi should know, they just got an expensive equity infusion themselves. The decision to use derivatives to short, or bet against, low-quality US home loans taken by a select group of hedge funds last year appears to have become the most profitable single trade of all time, making well over $20bn in total so far this year. John Paulson’s New York-based Paulson & Co, the biggest of the group with $28bn under management, is said by investors to have made $12bn profit from the trade already. “Our entire banking system is a complete disaster,” he wrote. “In my opinion, nearly every major bank would be insolvent if they marked their assets to market.” He also said he would be putting some of his own profits into gold and other precious metals. Very good long article about the whole sub prime, credit, structured products, rating agencies, banking crisis. The crisis came because there have been a lot of bad practices and a lot of bad ideas. Securitization is a mediocre idea. Re-securitization of already securitized assets into a CDO is a bad idea. Re-securitization of CDOs into CDO-squared is a really bad idea. So is funding a pool of long-term illiquid assets with very short-term funding in the so called asset backed commercial paper market. And as I will get to in a moment, it is a horrendous idea to delegate most of the responsibility for assessing credit risk to a group of credit rating agencies paid for by the issuers rather than the buyers of bonds. The latest hedge fund getting bad press is Ellington management, a large participant in the mortgage business. A couple of weeks ago, it suspended redemptions from its funds because it could not determine the value of its assets. Apparently they own what I’d call 20/90 bonds. 20-bid and 90-offered. While Ellington made negative headlines for doing the right thing, acknowledging it is unfair to let people in or out in such circumstance, does anyone believe that the large mortgage players like Bear Stearns and Lehman Brothers don’t also have large portfolios of 20/90 bonds? When they reported their quarterly results, investors marveled at their risk controls. However, Lehman moved about $9 billion of mortgage securities into a special classification called Level 3 under FASB 157, which gives them more valuation discretion. Both Lehman and Bear claimed their Level 3 portfolios actually had gains in the quarter, so it looks like they put the 20/90 bonds closer to 90 or perhaps even 95. This appears to be a classic example of a hedge fund being vilified for doing the right thing, while others are cheered for doing the opposite. Have a look at this insider transactions list at the SWX Swiss Stock Exchange. At the moment (2007-11-22) there is also a lot of selling of Lindt going on, a single but bigger sale of Roche, Swatch is on the buy list, and also someone is heavily investing into Straumann. Further transaction details Ein externes VR Mitglied hat die Wahl getroffen, als Bestandteil seiner Vergütung zusätzlich zu den fest zugeteilten Aktien den Betrag von CHF 262'500.-- in UBS Aktien zu beziehen. Die entsprechenden Aktien werden nach Festsetzung des Preises Ende Februar 2008 zugeteilt. The Complete TurtleTrader at Amazon. Way of the Turtle by Curtis Faith. It you like one of those books, you might bookmark Michael Covel's blog as well. Bill Miller is a famous value investor, who has beaten the S&P 500 index for 15 consecutive years from 1991 through 2005. The difference between what is unfolding now and the Crash of '87, or the problems with Long-Term Capital Management in 1998, is that they were confined to Wall Street, whereas this issue extends to Main Street and to the value of the biggest asset of most consumers, their house. One of the enduring features of the findings in behavioral psychology as it applies to finance, a subject I have discussed many times over the years, is the almost complete inability of those who are aware of them to actually apply them. You can attend Richard Zeckhauser’s seminars at Harvard, read lots of articles and case studies, be reminded of how recency bias, or anchoring, or the representative fallacy, or myopic loss aversion impair clear thinking and skew decision making, and still fall prey to them and others of their ilk the moment you are confronted with real world situations. The recent precipitous decline in financial stocks, especially those related to housing, which sent Countrywide Financial (CFC) to $12 last week, and led to 20 to 30% drops in financial guarantors in a day or so—after they had already dropped between 25 and 50% this year—is a case in point. After falling 20% in a only a few days on no news, and this after being down 50% for the year, CFC rallied over 30% in one day once they reported their results and indicated they would be profitable for the 4th quarter and expect to earn a reasonable return on equity of 10-15% for all of 2008. The price action on both sides was driven by emotion – first fear, then relief – and was hardly the result of a careful analysis of Countrywide’s long term business value. That, by the way, we think is in the $40’s compared to its current price of about $14-15. Let's see if the market believes that. Unlike UBS and DB they did not "disclose" their exposure. Well, they say now, they are short on CDOs. Below is a link to a paper by Gerald S. Martin and John Puthenpurackal about mimicking Berkshire Hathaway's stock picks (and exits), whenever they become publicly known. BTW, the decisions could have been made by either Warren Buffett, Charles Munger, or Lou Simpson. Actually they seem to show that this would result in an out performance of over 14 % of the S&P. Buffett prepared an eloquent statement about taxes for a hearing in Washington DC. Yesterday came out SEC form 13F-HR of Warren Buffett's Berkshire Hathaway, which lists all its public company stock holdings at the end of the third quarter 2007. The total was USD 65.8 billion. In comparison, Berkshire Hathaway has today a market capitalisation of around USD 213 billion. Have a look at the list (13F-HR form) for yourself. You need an account first, but it is a longer article, has some names and gives an idea what is going on in the world of developing trading algorithms. “Of the 7,000 quants we have in our global database, only about 3 percent are women,” says Dominic Connor, director of Paul & Dominic Quantitative Recruitment in London. Renamed the Clemens Investment Blog to The STOCK BLOCK. Please note also the URL change to http://stockblock.info/. Have a look at this blog The Big Picture. On occasion, the comments might be interesting as well. Van K. Tharp is a psychologist specialized in coaching traders. A critical difference between good traders and the average trader is that good traders thrive on simplicity and not knowing. They come from being and simply go with the flow of the markets. If the markets tell them it's time to go up, then they buy. They might be wrong 60% of the time, but that is part of the game. They'll get out when the markets are no longer going up. They do this by simply observing what is happening, and are much more joyful because they are going with the flow. They allow themselves to let their profits run, because it's okay to be in the market when it is going up. They also allow themselves to get out, because it's okay to get out when the markets start to do something else. What I've just described is pure trading. Its essence is simple. It doesn't require a lot of time. Instead, it gives you lots of time to play. It also involves seeing all possibilities and being in the flow of what is happening right now. You cannot do this if you are preoccupied with being right, doing hard work, or having money or profits. You can only do this when your mind is pure and you can be at one with what is going on around you. Another one bytes the dust... today 2007-11-12 E*Trade is down 58 % after announcing writedowns on asset backed securities. They have an investmen of around USD 3 billion in ABS. You wonder what an online broker has on its balance sheet. Here is the wording from E*Trade itself. Very interesting albeit scary article about what is on the balance sheets of the big investment banks. It also points to this FT article (from 2007-11-04) predicting more write downs at Merrill Lynch, Citigroup, and UBS: What’s the subprime damage to banks? The first article also looks into how many structured product assets are valued on an internal model valuation method, also named 'Level 3' (level 1 means you just take market prices, level 2 means you base your valuation on other prices of similar asset classes - level 3 basically means you make up your own prices). Look at the info Citigroup just filed with the SEC today: they have $135 BILLION in LEVEL 3 ASSETS. I have a neat idea. Why don't we take every single major financial institution out there and then divide their total Level 3 assets by their equity capital base and make comparisons? This will give us a better idea as to which of them may really remain solvent at the end of the day. Shall we? How about Goldman Sachs? Level 3 assets are $72 billion, equity base is $39 billion. Their Level 3 assets to equity ratio is 185%. This becomes very interesting now, doesn't it? Looks to me like Goldman Sachs and Morgan Stanley are by far in the WORST situation among the investment banks. And yet the media is focusing all of their attention on Merrill Lynch---which actually has by far THE LEAST EXPOSURE of all of them. BTW, UBS reported in third quarter 2007 CHF 23.4 billion in 'level 3' assets. This in addition to another CHF 21.6 billion in MBS and CDO assets. 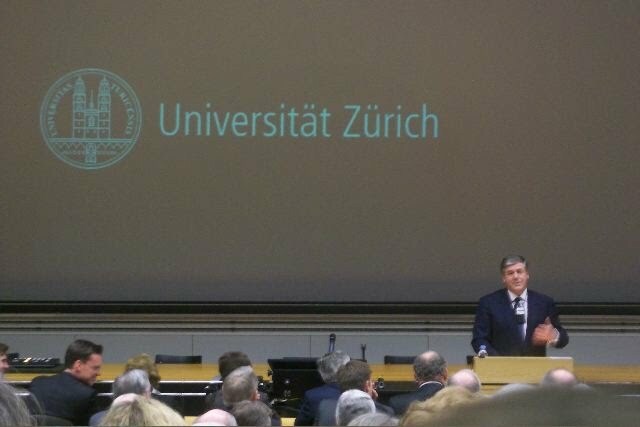 UBS has equity (without Goodwill) of CHF 33 billion. Here is an online version of IFRS as far as it has been adopted by the EU. Amazon (Germany) has a book version with both English and German text next to each other. In case you wonder what IFRS is, here is the Wikipedia article. Blowing Up by Malcom Gladwell. The Blow-Up Artist by John Cassidy. From 2007-05-7, watch it while they still haven't pulled it. As an excercise here are some excerpts from the IKB 2006/7 annual report (when everything looked shiny and sunny). The capital released through our securisation activities over recent years has been used to expand our national and international lending business. Additionally, the capital has also been used to invest in international loan portfolios. Two thirds of our investments are focused on US investment-grade portfolios (including, for example, credit card claims, mortgage loan claims and corporate loans), with the remaining third being invested in similarly structured European portfolios. However, we also utilise our wealth of expertise in this area to advise external companies - against a fee - on their own investments in international loan portfolios. This applies in particular to the Rhineland Funding Capital Corporation in the US. Based on our advise, this company is investing in portfolios comparable to those in which IKB is itself investing. In this way we ensure that the same quality standards that apply to the bank are also applied to third parties. A gratifying increase in net commission income was also recorded, up by 19.2% to EUR 108 million. Half of this income resulted from structuring fees and commission earned in the Corporate Clients, Real Estate Clients and Structured Finance segments, with the other half being contributed by the Securitisation segment from advisory fees relating to the Rhineland Funding conduit. As in previous years, the main focus of our activities were the placement of credit risks and investments in international loan portfolios. Overall, credit risks in the amount of EUR 4.7 billion were placed during the reporting period. Our investment in international loan portfolios totalled EUR 1.2 billion (EUR 2.1 billion), resulting in a slight increase in the portfolio to EUR 7.0 billion (EUR 6.8 billion). The Rhineland Funding Capital Corporation, a conduit for which we have assumed an advisory function, increased its investment portfolio to EUR 12.7 billion (EUR 9.7 billion). We expect an investment volume of EUR 20 billion (currently EUR 12.7 billion) for tge Rhineland Funding conduit, and a volume of EUR 10 billion for Rhinebridge. In short, this means that the IKB Group will continue to grow over the coming years. Other commitments include credit commitments totalling EUR 11.9 billion (prio year: EUR 11.2 billion) in favor of special purpose companies, which can only be utilised by these companies in case of a short-term liquidity squeeze. The figures presented reflect the amounts which would have to be paid out in case the customer fully draws on the relevant credit facility. The largest portion of these obligations by far will probably expire without ever being utilised. The figures are not representative for the actual future credit exposure or for liquidity requirements resulting from these obligations. Now compare this to the EUR 32 billion which Deutsche Bank has invested in similar conduits, which is roughly the size of its equity. In comparison IKB had equity of EUR 1.4 billion at 2007-03-31. 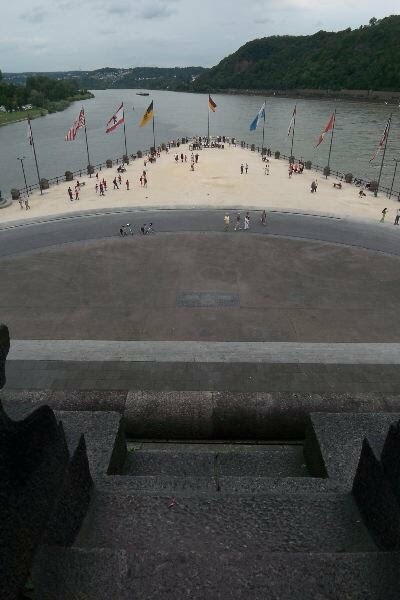 The Rhine (right side) where it meets the Mosel river (left) by Koblenz at the so called Deutsche Eck. Here are the slides of the presentation Joseph Ackermann gave on 2007-09-04 regarding Deutsche Bank's exposure to the Sub-Prime crisis in order to calm down the market. STOCKscreener. i n f o is a new web site which provides a quick and easy way to search for interesting stocks to invest in and to access further information on the web about these financial instruments and their underlying companies. At the moment you can see which stock moved the most, upwards or downwards, yesterday or for whatever timeframe you are interested in. The stock performance list can be restricted to individual currencies or exchanges. 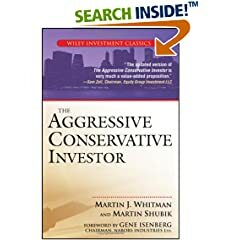 See Marty Whitman talking about his investment philosophy. This is interesting, as his salary as CEO of Berkshire used to be no more than $ 100'000 (might be doubled by now) and his billions worth of Berkshire stock yield zero dividend income. Below is a selection of world indices and their performances for the last few years. Performance for 2007 (not annualized) is for the closing price as of 2007-04-03/4 (depending on the timezone). A table with the absolute index numbers is located here. Security Analysis is a famous book by Benjamin Graham first published in 1934. Benjamin Graham is the so called father of "Value Investment" and teacher and mentor of Warren Buffett. Buffett has said, "I read the first edition of this book early in 1950, when I was nineteen. I thought then that it was by far the best book about investing ever written. I still think it is. Graham's Intelligent Investor is a popular version of Security Analysis, the classic study written by Graham and Columbia Professor David L. Dodd. Nevertheless, it has been said, Buffett has red Security Analysis (and especially the 2nd edition from 1940) many times over. I have heard him say, that he has read it from cover to cover more than a dozen times. 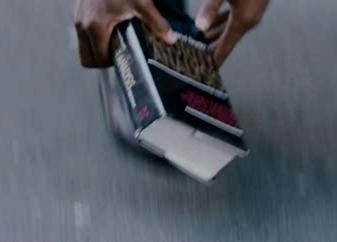 He has read the other editions as well. 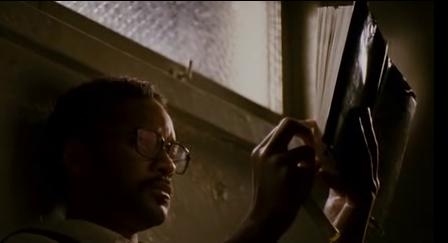 The book plays also a major role (next to the bone scanner) in the movie The Pursuit of Happyness. 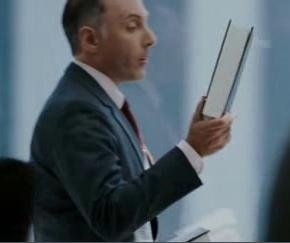 The film prominently showed the 5th edition of Security Analysis — black jacket, white, gold, red fonts — as the one that Dean Witter Reynolds required 60 unpaid interns to study for six months. 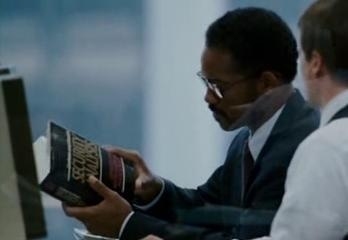 The intern portion of the story is circa 1981; the 5th edition of Security Analysis was published in 1988; ergo, the film production prop department used the wrong edition. 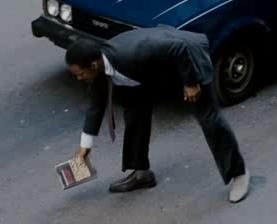 Chris Gardner - Excerpt from "The Pursuit of Happyness"